"Birdboy offers a feast of hallucinatory visual delights and astonishingly visceral horrors"
"A Dark Animated Delight About Cute Animals, Hard Drugs, and Hope for the Future"
Guerrilla film collective Cinemaattic presents the special screening of Psiconautas, first feature by renowned animator Alberto Vazquez. 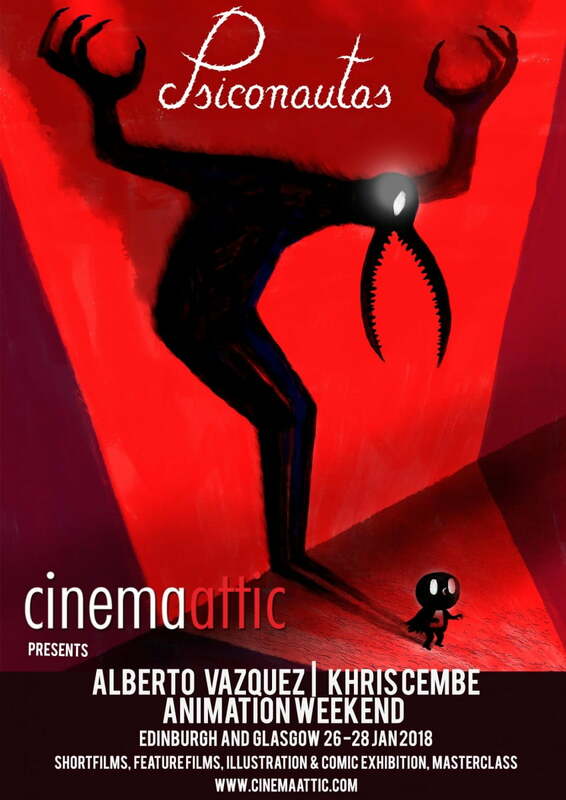 Alberto will join us in person along with Khris Cembe, animation director on all Vazquez’ films, for a Q&A after the film. Unique opportunity to see the work of Alberto Vazquez, currently one of Europe’s hottest animators. Psiconautas is the story of two teens, Birdboy and Dinky. They have survived the ecological disaster that devastated their island. Birdboy is deeply affected by the death of his father and eaten away by angst. Dinky decides to take off on a risky journey in the dark and hostile world and invites his bird friend to come along. Ecology, drug taking and adolescence echoes follows Alberto Vazquez first feature, nominated for Best Animated Feature Film at the European Film Awards, as well as winning the Spanish Academy Best Animated Film Award.